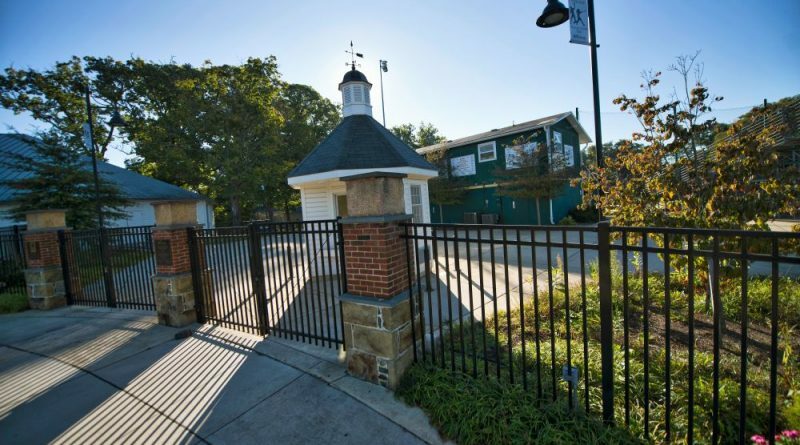 After four months of discussions and delays, the Town of Purcellville will finally be reimbursing Shaun Alexander Enterprises $60,000 for improvements it made to the Fireman’s Field complex. To satisfy a portion of Alexander’s $87,500 reimbursement request, which is $27,500 more than what the town is obligated to pay out in the first year of the contract, the Town Council Tuesday night voted 5-1, with Councilman Doug McCollum opposed, to approve a $60,000 reimbursement. This is the maximum reimbursement the town is obligated to reimburse during year one of the contract—$10,000 for initial cleanup work, $25,000 for repairs to the Bush Tabernacle and $25,000 for annual maintenance, repair and upkeep of the complex. To make the payment, the council additionally approved a fiscal year 2018 budget amendment that reallocates an untouched $10,300 from the Train Station Repairs account and $5,300 from the Skating Rink Building Maintenance account to the Fireman’s Field Complex Repairs & Maintenance account. The amendment also reflects a $44,400 difference in rent payments the town has received from Alexander’s firm from Jan. 1 to June 30 versus what it expected to receive from the Purcellville Teen Center, which managed operations in the tabernacle from 2010 through the end of last year—$60,000 versus $15,600 bi-annually. A second motion to approve an additional $25,000 reimbursement failed to pass with a 3-3 vote, as McCollum and Councilmen Ted Greenly and Chris Bledsoe all voting against it. This would essentially have been an advance on the firm’s year-two reimbursement for maintenance, repair and upkeep and would have been made available on July 1, when fiscal year 2019 begins. McCollum, who helped to negotiate the contract along with Councilman Ryan Cool, raised concern about the way Alexander’s firm has handled the contract terms thus far. McCollum also mentioned that, according to the contract, town staff could have performed some of the work to reduce the costs and that it could have possibly been completed at a later date. Bledsoe echoed McCollum’s concern, noting that the town should hold the firm to the contract. “I’m not sure where the loss of communication was…in terms of adhering to the contract, but I’m quite dismayed,” he said. Bledsoe also mentioned that while $500 was spent on a projection screen he has yet to see a projector in the tabernacle. When Mayor Kwasi Fraser asked if members of town staff took an inventory of the completed work and what was purchased, Administration Director Hooper McCann said they did not. She did, however, say that she knew of several improvements that were completed, such as painting, cleaning and work on the concession area. “The improvements are quite clear,” she said. Mekarski said that although the firm did not adhere to all the terms of the contract, it did exceed the “spirit and intent” by ultimately completing such leasehold improvements. While the firm will receive a $60,000 reimbursement, it has already spent $95,232 on improvements to the complex overall. According to the staff report, Alexander’s firm paid Vandervort $60,600 to paint the tabernacle, perform construction on and set up wiring for the stage, refurbish the front concessions and add new cabinet doors; $3,446 to Amazon for supplies like cables, screens, microphones, televisions, string lights and surge protectors; $220 to Home Depot for supplies like clamp set coaxial staples, a baseboard cord channel, a doormat and wire rope; $3,360 to B&H Photo for an LCD monitor and a Black Magic Smart Video Hub; $7,606 to Southeastern Skate for roller skates; and $20,000 to Play to Win for facility wiring, construction and a light demo. From these expenses, the firm requested an $87,500 reimbursement—$28,500 in painting and wall structure improvements, $31,000 in construction to the stage and concession booth in the tabernacle, $19,500 in audio and lighting improvements and $8,500 in renewed inventory. According to an invoice attached to the staff report, that work was performed by Vandervort & Contracting LLC, Southeastern Skate and Play to Win, the company managing day-to-day operations in the tabernacle. Parks and Recreation Division Manager Amie Ware, the town’s designated principal point of contact with the firm, has also prepared a reimbursement form for Alexander’s firm to use when requesting future expenditures. Town staff and Alexander’s firm are scheduled to meet today to discuss matters further.